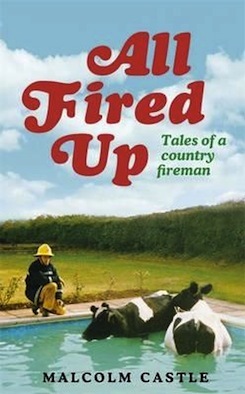 Malcolm Castle is the longest serving fire-fighter on the watch in Shrewsbury, Shropshire. 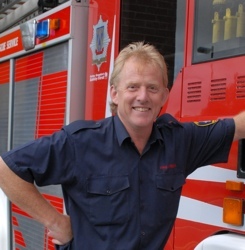 He recently celebrated his 30th year at the station – and has given nearly 300 after-dinner speeches about his life in the fire-service. 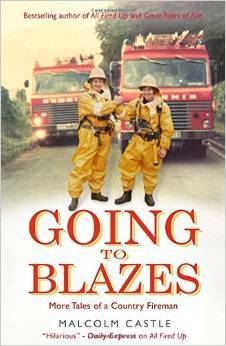 His most popular talks are of his early days in the fire brigade in the late 1970s and early 80s – a time when crews tackled fires wearing plastic leggings, plastic gloves and cork hats covered in highly flammable gloss paint. 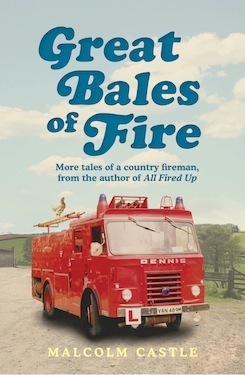 Funnily enough he says his most popular anecdotes aren’t necessarily about the big fires he has tackled: often they are about the people and animals he has helped and all the crazy situations they’ve found themselves in. After doing a Google search for 'Literary Agents', I came across Andrew and was intrigued by the amount he wanted me to include in my submissions e-mail. By comparison, it was the most involved of all the other agents I looked at. I was struck with the feeling that my submission would at least be read and, with all the information I'd included, be given proper consideration. Happily, I received an encouraging reply within a few days. Andrew put me in contact with an author, Neil Simpson, who he felt would enjoy collaborating on the book, and a meeting was organised. Upon arrival I was impressed by the way Andrew combined a friendly and welcoming, "Tea or coffee? ", when he answered the door, with a professional and enthusiastic manner once we started discussing the book. He had clearly thought through the direction he imagined the book taking and has been supportive and encouraging with his advice so far.